Working out regularly has many health benefits. It helps one build lean muscles and increases his or her resistance against diseases. It also prevents life-threatening illnesses and delays degenerative diseases. Unfortunately, muscles also get tired after strenuous exercises. Aside from rest, the bodies’ muscles also need help to recover fast after workouts. For example, massaging the muscles can go a long way in relieving tension and aiding recovery. As such, one may want to invest in the best muscle roller stick to help his or her body recover fast. Are you overwhelmed with the number of choices on the market today? Don't worry. We got you! And without further ado, here are our top three products for you to consider. 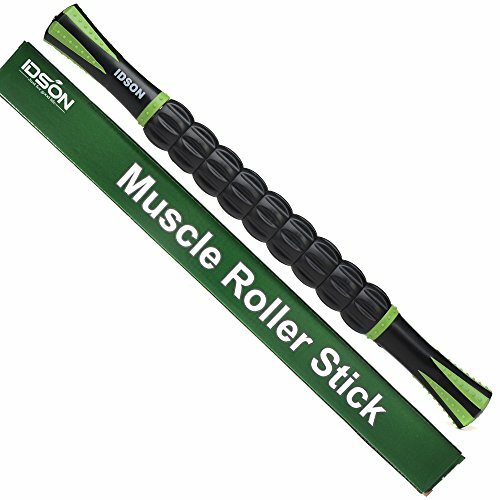 The IDSON Muscle Roller Stick for Athletes claims to provide quick relief from muscle soreness and stiffness. It promises to be the perfect companion of athletes after every workout. 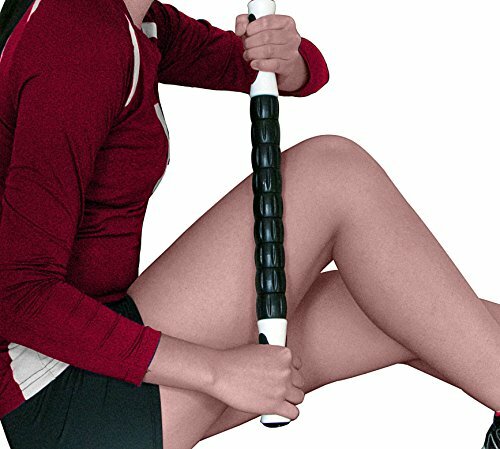 This muscle roller stick claims to be a useful tool that can correct muscle imbalance, lessen soreness, improve tissue recovery, decrease neuromuscular hypertonicity, and reduce trigger points pain and sensitivity. The item can be used to soothe muscles in hamstrings, calves, glutes, back, neck, shoulders and quads. This muscle roller stick is constructed from high-quality and industrial-strength materials that are built to last for a long time. It has thermoplastic rubber for its body while its handles are made from polypropylene with an ergonomic grip. There is also nine ABS independent roller found on rod core steel. The product is portable and can be placed easily in bags. It measures 17.5 by 1.5 inches and is lightweight at nine ounces. The roller stick is also water-resistant and robust. Its product manufacturer offers a 100 percent money back guarantee where buyers can ask for a refund or return if unhappy with the purchase. The plastic roller can be quite painful on the body. 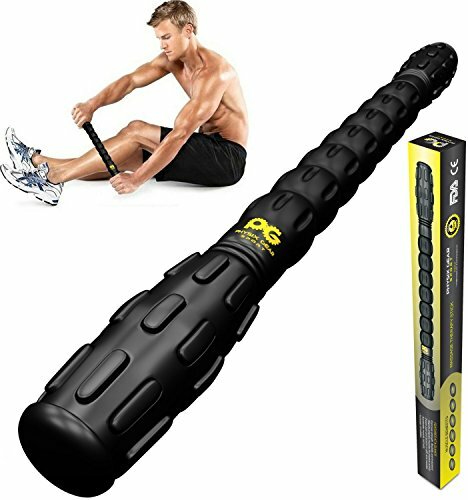 The Physix Gear Sport Muscle Roller Leg Massager claims to be the best massage roller stick. It can be used for deep tissue massage, cramps, trigger points, and myofascial release. It promises to reach body parts that cannot be reached by foam rollers. This product is a portable massage roller measuring 17.4 by 1.9 by 1.9 inches. It is also lightweight at 11.2 ounces. The item can fit in most kits or bags easily. This non-squeaky, sturdy and water-resistant massage roller is constructed from a high-quality thermoplastic material. It claims to have an unbreakable stainless-steel core and handles that are molded snub with an ergonomic design. This product is versatile and can be used before and after workouts. This massage roller also boasts of seven individuals spindles to enable independent rolling. The product comes with a free e-book guide that has self-relief tips. Its product maker, Physix Sport, offers a 100 risk-free purchase. This means buyers who are unhappy with the product can ask for a refund or a product replacement. The Supremus Sports Muscle Roller Massage Stick promises to be the perfect companion of athletes who want their muscles to recover fast. It claims to be a versatile roller that is perfect for restoring and rehabilitating sore and tight muscles, releasing tension, getting rid of knots, increasing blood circulation and improving mobility and flexibility. This product is a portable item as it measures roughly 9.5 inches in length and can fit in different bags. The rollers are 1.5 inches in diameter. The roller’s complete dimensions are 17.5 inches by 1.5 inches by 1.5 inches. It is also lightweight at eight ounces. The product is constructed from high-grade plastic and has a stick design with non-slip handles. There is also a 2mm gap between each roller to prevent pinching and pulling of the hair. Its product maker also offers a 100 percent money back guarantee. This means shoppers who are unhappy with the product can ask for a replacement or refund. All three products claim to be a reliable athlete companion in finding fast relief from effective exercises and workouts. But which of them can be considered as the best muscle roller stick? The products we reviewed share many similarities. For one, all of them are versatile rollers that can help in correcting muscle imbalance, reducing soreness, improving tissue recovery, decreasing neuromuscular hypertonicity, and reducing trigger points pain and sensitivity. They are all lightweight and portable, and they all claim to be durable. All of the product makers offer a 100 percent money back guarantee, too! Unfortunately, the IDSON Muscle Roller Stick for Athletes can pull and pinch hairs. It also does not allow for independent use as one needs the help of another person to reach other body parts. On the other hand, Supremus Sports Muscle Roller Massage Stick does not pinch hairs, but it presses hard against the skin. It also makes strong and loud squeaking sounds. The Physix Gear Sport Muscle Roller Leg Massager is the best among the three items as it allows for independent use of the product. It lets users reach even the hardest body parts to reach without the help of anyone. Not to mention, it is also durable and water-resistant, perfect for post workout rolling.